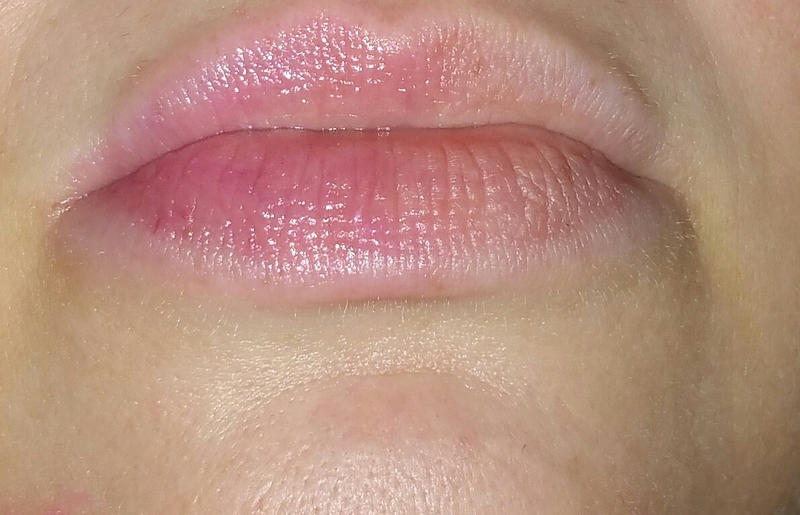 For this Part 8 of the Color Adjusting Lip Series, I bumped the comparison review of Dior Addict Lip Glows, 001, 004, and 005 and of the Physicians Formula pH powered Glosses in Natural, Dark Pink, and Light Pink, to instead show you this limited edition Dior Addict Lip Glow Liner- 001- Universal Pink. For me, at least, it seems like this product was released quietly or under the radar. That’s too bad because interested people may end up missing it while it’s available. 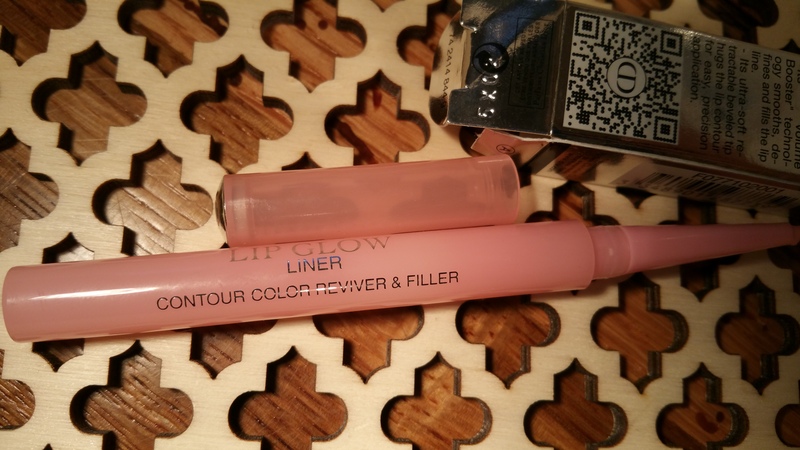 As you’ve probably figured out by now, this is a color adjusting lip product that works in the same way as the Dior Addict Lip Glow balms. However this liner only comes in one color: 001- Universal Pink, which would be the counterpart to the original Dior Addict Lip Glow balm (in 001- Pink). 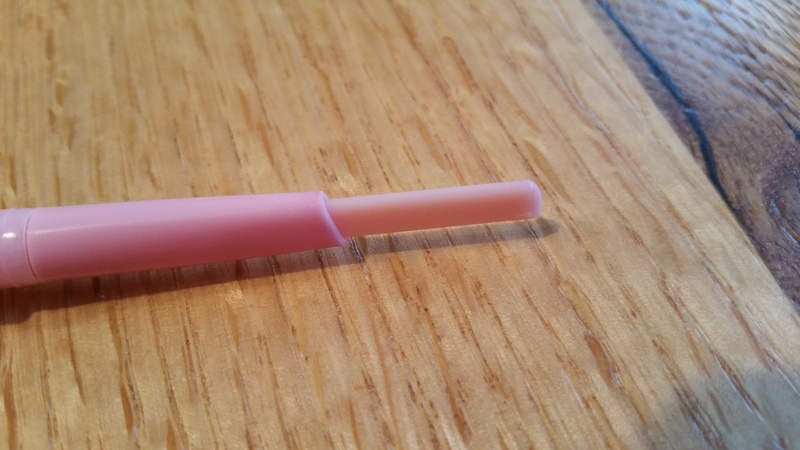 The liner comes in a tall and thin, pink, plastic, pencil type casing. The product twists up from the casing, and it’s a solid, hard, stick. The applicator tip is shaped in an interesting slanted “squoval” instead of in a thin point, like most other liners. 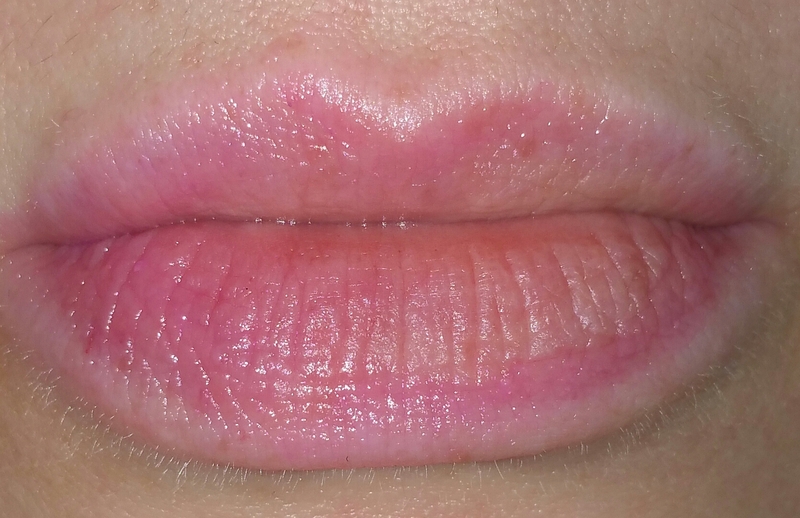 You can therefore apply this using just the top edge tip, to only define the outer parts of the lips, or using it’s full-on surface area to fill in the entire lip area. I’m giving props to Dior here because this is a really cool design. 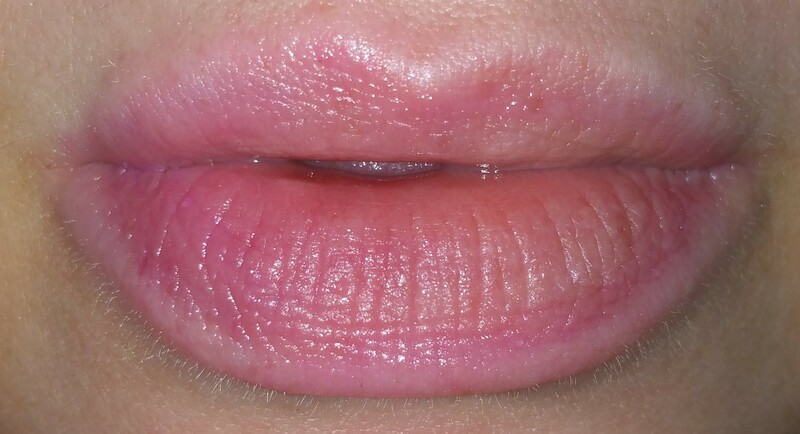 Take a look at my lips half filled in by the liner, and then below that, with the same half filled in and the other half lined only. 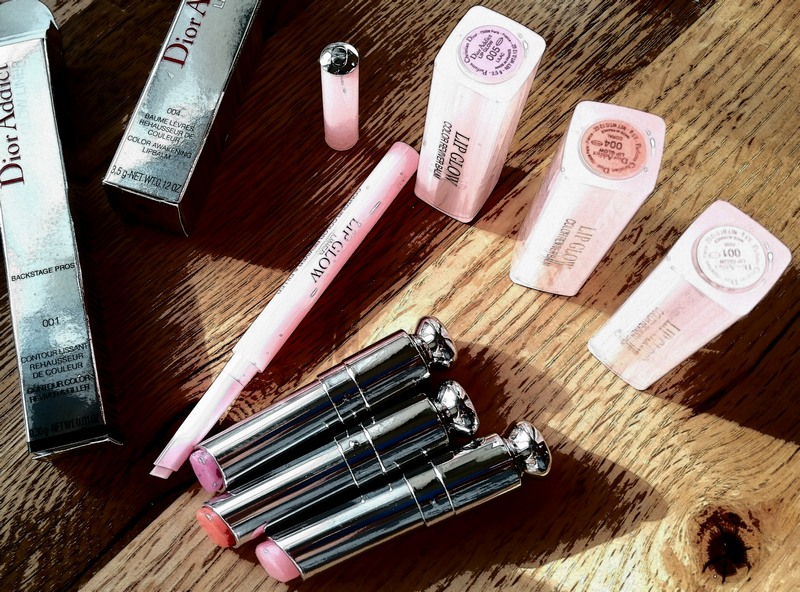 This product gives off the same sweetly minty essence as the Dior Addict Lip Glow balms do, but it doesn’t have a taste when you lick your lips. Due to a combination of the pressure I needed to apply this liner, and the composition of the product itself, my lips were tingly for about 15 minutes post-application. 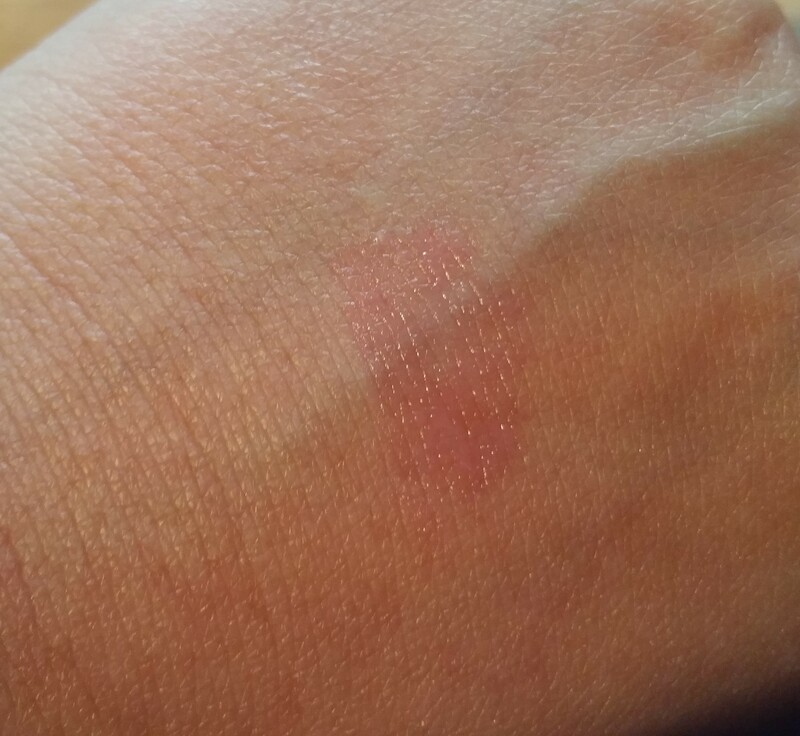 The tingle is gentle and nothing like the tingle from a lip maximizer. So almost in spite of myself I ended up loving this lip liner. Now I’m sad that it’s limited edition (and only available from Dior directly or from Sephora). Oh, and I’m also sad about the sky-high price of this stuff: $32 for .01 oz! (The Lip Glow itself is $33 for .12 oz). Yes, you read it correctly that for about the same price you only get 1/10th of the product you get in the original Dior Addict Lip Glow balm. Forgetting about the crazy price, I got to dreaming about what I’d create next if I were on the Dior beauty team. I would do a chunky pencil form of Addict Lip Glow, with a nice fat point and a glossy finish. Or maybe I’d do an Addict Lip Glow Gloss. Or maybe I’d do it all and more! 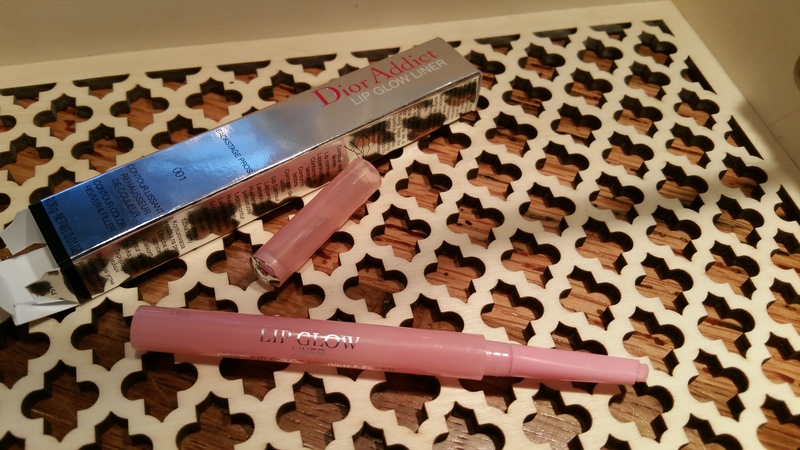 What do you think about Dior Addict Lip Glows and this liner? Are you going to try it out after reading this review? Please leave me your comments below. It makes my day to hear from you out there! Dior had a limited edition Lip Glow Gloss a few years ago. Loved it! Love your review on this. I have the glow nail color by Dior and really like it. Thought about trying the lip door glow products! Dior nail glow looks so pretty in the bottle. I may need to try it. I’ve been loyal to Perfect Formula Pink Gel Coat for years and it seems similar to that.